There are many reasons why archive services do not scan all historical documents and make them available electronically – one of the main reasons being the inherent instability of digital files. Most professionals would now dispute that we are really heading for a digital dark age but that doesn’t mean we can be laissez-faire about the preservation of digital content. As technology changes so rapidly, preservation of digital data actually requires much more active management than most of our paper and parchment collections – the computer I’m typing this on doesn’t even have a CD/DVD drive let alone a floppy disk drive (although fortunately, we do have access to both of this within the office). There are many examples of lost digital data, the loss of over 50 million songs from MySpace being the most recent – see If it’s online, it’s not permanent. Internet archives can disappear. 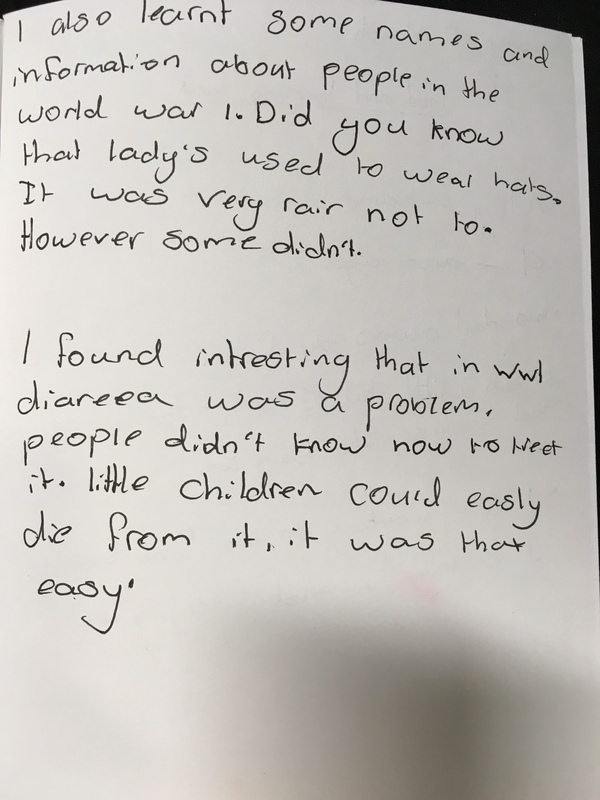 Here at Derbyshire Record Office we have been thinking about how we preserve digital content for many years, but this is still something very much in development. However, in the last few weeks we have made good progress and more digital archives are now being received. Watch this space for further developments. Are you a teacher, teaching assistant or group leader working with KS3, 4 and Post-16 students? 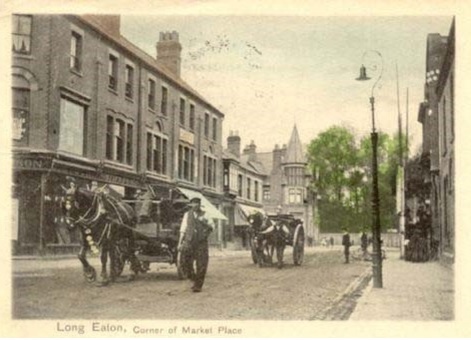 Staff from the World Heritage Site invite you to take a learning tour with them on Friday 13th March 2019 – Free of charge, thanks to the Heritage Lottery Fund and Arts Council funded Great Place Scheme. You’ll go away with plenty of ideas and opportunities to build knowledge about this great place into your teaching, learning, enrichment and engagement activities, whatever your focus. There is a chance to meet other staff providing learning opportunities at sites along the valley to really discover the range on offer. Discover the wide range of learning opportunities available for Key Stage 3, 4 and Post 16 students along this 15 mile site. Travel by minibus with expert guides visiting a range of museums, sites and venues to explore their learning offer. Discuss and shape what you need for your students – are you looking for work experience? Specific projects? Enrichment Days? STEM subjects? 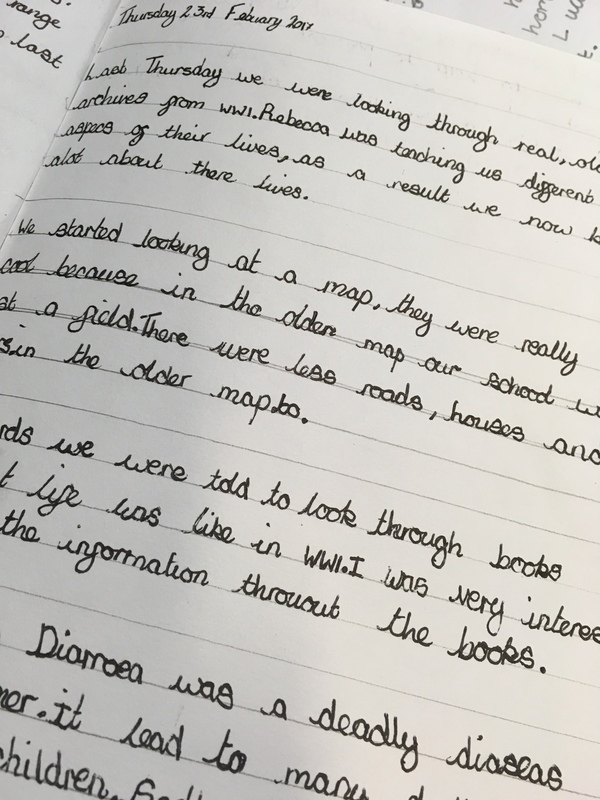 Take away some learning activities and trip opportunities that you can share with your students to bring the story of the Derwent Valley Mills to life. Places are limited. To reserve you place email: environmentalstudies@derbyshire.gov.uk or call Derbyshire Environmental Studies Service on 01629 533439. 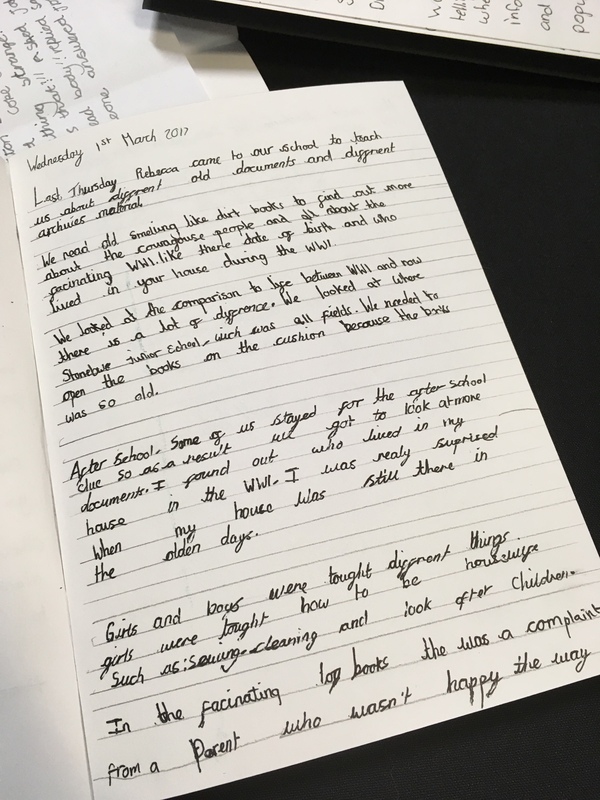 Please provide your name, school or organisation, contact email and phone number and any specific needs and mobility issues you have so we can ensure you have a successful and enjoyable day. For more information see Derwent Valley Mills World Heritage Site Projects. What do you have about dwarves in Norse Mythology or the future colonisation of space? These are just two of the themes I have been looking into yesterday as part of a visit from students at the University of Derby doing a Creative Writing degree. 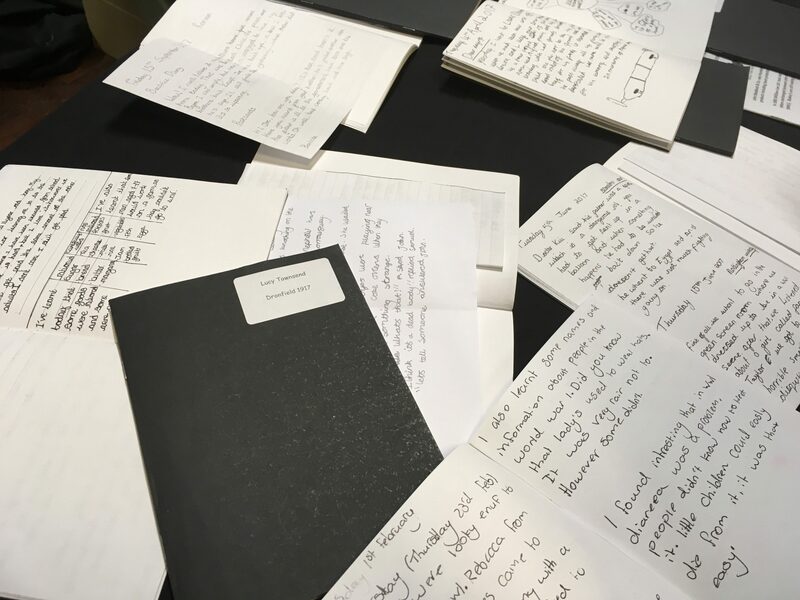 This has now become an annual visit that challenges me every time to come up with items from the collections to inspire and inform the students, as part of an introduction to the opportunities for supporting their work that can be found amongst the archives. 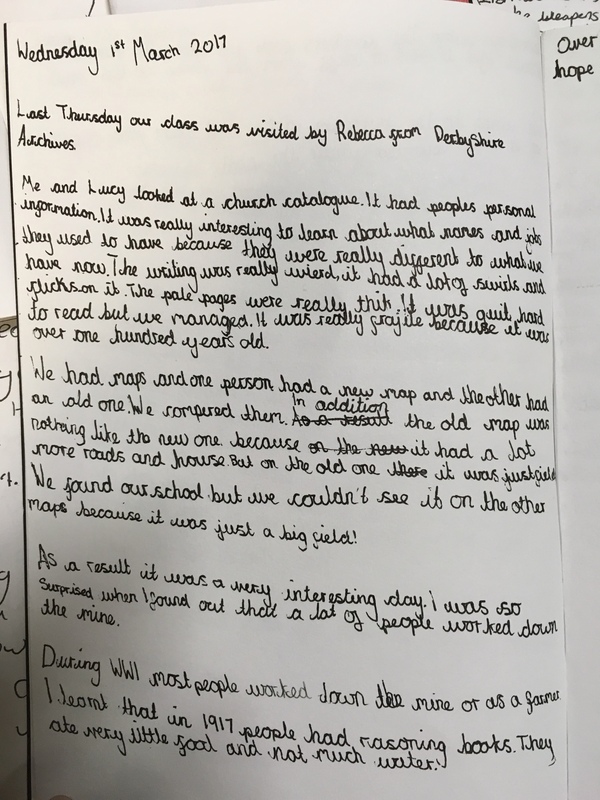 Two of the students had been in touch in advance to advise what their interests were and what they were currently working on. There have been struggles in past years in identifying a selection of documents related to the students’ interests and current projects but when this year I received an email referring to “representations of Dwarfs in Norse myth and perhaps other representations of dwarfs or dwarf-like humans in folklore” and “space, future planet colonisations”. Fortunately, the latter also included a reference to “accounts of colonisation of British colony’s in the words of eye-witnesses”, which is much more what we might expect amongst our collections given the official roles undertaken by a number of Derbyshire gentry in the 18th-20th century (see in particular the Fitzherbert connection in the West Indies;- Gell family in South Africa;- Wilmot-Horton in Ireland and elsewhere). After an ill-advised search in the catalogue for ‘space’, which primarily turned up records relating to graveyard spaces, I tried terms such as planet, Mercury, Venus, Mars, solar, lunar, astronomy, etc. which was a little more successful. Knowing the relationships of Derbyshire personalities with The Lunar Society, and of John Flamsteed of Denby, some terms were less successful than I hoped. I also already knew that we had a couple of collections relating to the Rocketry department at Rolls Royce (see D4907 and D5290), so the selection also included a few drawings and lecture notes. However, I was thrilled to find a reference to the Mars Colony Project of the 1960s amongst papers of the Derby Group of the British Interplanetary Society (ref: D317). 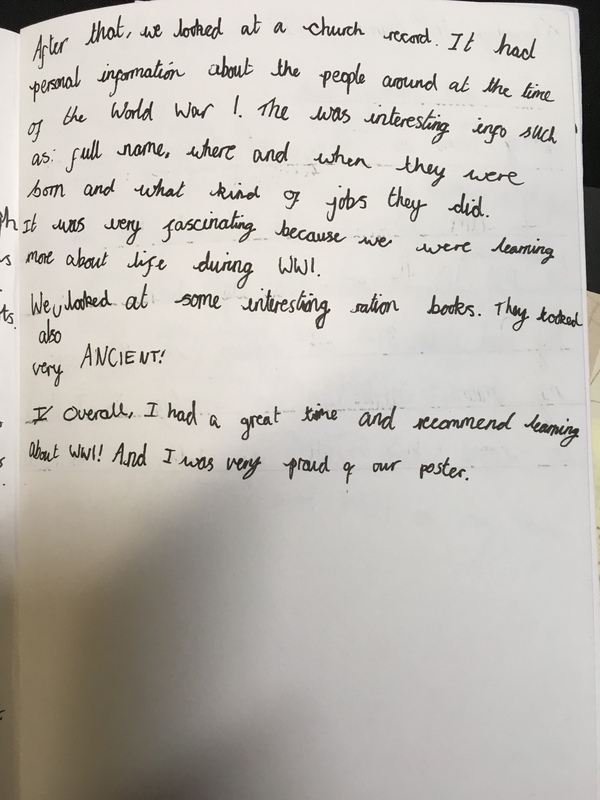 Fortunately, the student in question was also very pleased and fascinated with the selection, learning that whilst the US had plans to colonise the moon, the British (and European) aim was for the colonisation of Mars – obviously neither got very far! several illustrations and caricatures by George Murgatroyd Woodward (1767-1809) of Stanton-by-Dale (ref: D5459). The group were also fascinated by the people in the Victorian asylum admissions register and what their stories were (ref: D1658/1/5), a Great Seal of Charles I granting a pardon to Francis Leeke in 1639 after he purchased land without permission, (ref: D315/1) and an illustration of woman who grew four sets of horns (ref: D303/30/7). 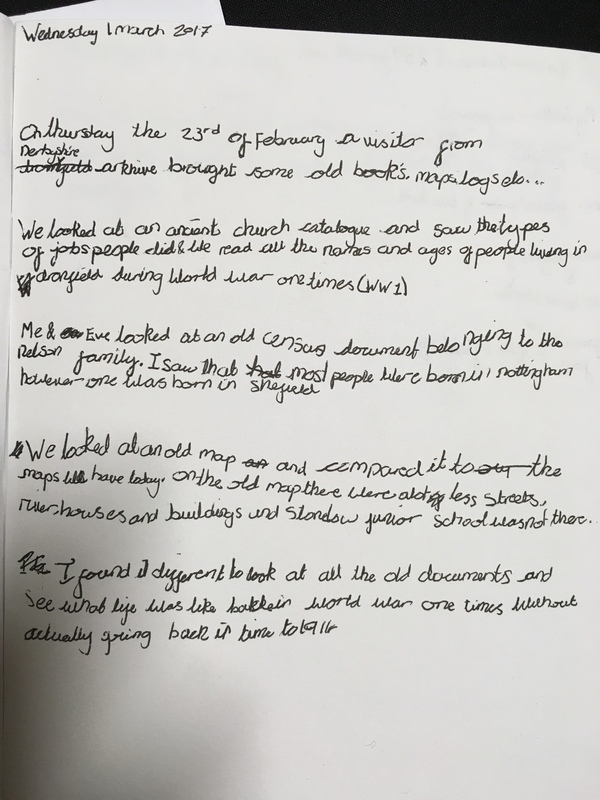 Other students spent time using the online catalogue to search for items relating to Irish immigration and seafaring, and made plans to come back during normal opening hours to pursue their own interests and research. I look forward to hearing and reading what they come up with. It was good to hear from their lecturer that after last year’s visits one of the students who was interested in pirates on the high seas wrote a book partly inspired by records she consulted at DRO particularly relating to an individual who chased pirates across the seas – unfortunately I don’t have any details of the records she consulted, but we do hope to add a copy of the published book to our Local Authors collection in due course. On the day that The Office for National Statistics releases the most popular baby names of 2017, a reminder of Our first blog post ever of some unusual names (re-discovered by Derbyshire Family History Society) that probably don’t feature anywhere near the top 100!! 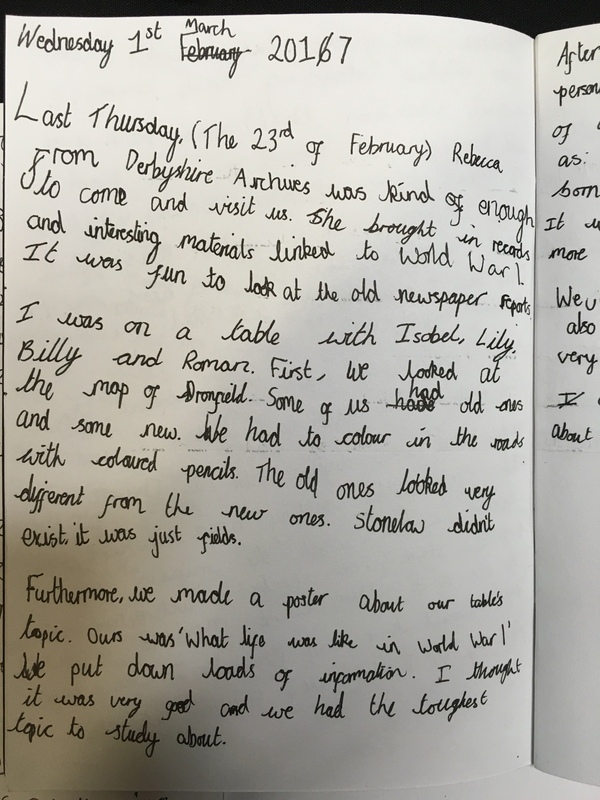 Late last Spring I began what came to be a rather extensive piece of research into the development of the archives part of Derbyshire Record Office. After so much work I wanted to share what I had found, and on Monday we ran an event featuring a talk about the history of the archives service, an exhibition of our own archives (by which I mean the records we actually created rather than those we look after on behalf of the county) and a behind-the-scenes tour of some of the record office building. We couldn’t do the whole building as it is so big, and to be honest once you have seen one or two of our strong rooms, you have really seen the other 12 or 13 (yes, we do have 14 in total for archives and local studies). In April 1962, Miss Joan Sinar was appointed as the first County Archivist for Derbyshire. In the 55 years since this landmark was reached, whilst much has changed at the Record Office the basic principle of preserving Derbyshire’s archival heritage and providing access to it has remained constant. However, 1962 may not have been the true beginning of Derbyshire’s archive service. On Monday 14 August, join us to find out more about the history of the Record Office and record keeping in Derbyshire. 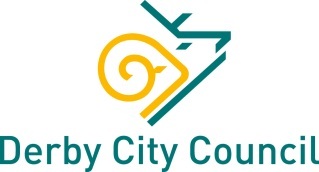 There will also be a display of original archives illustrating the development of the Derbyshire’s archival heritage, and a unique opportunity for a behind the scenes tour. A wooden panel with the title ‘Cemetery’ above … what we didn’t know. When we looked a little closer we saw three words that told us everything we needed to know and amused us in the process. 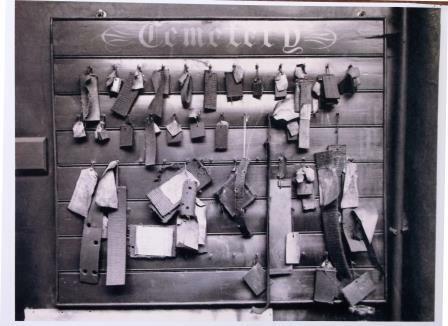 These words were ‘Ferodo’ and ‘brake lining’ – it is a cemetery of the brake linings manufactured by Chapel-en-le-Frith based Ferodo. We already knew the company and their staff had a good sense of humour and imagination from other items we hold in their archive collection, including our Treasure #26 Ferodo’s imaginative advertising. 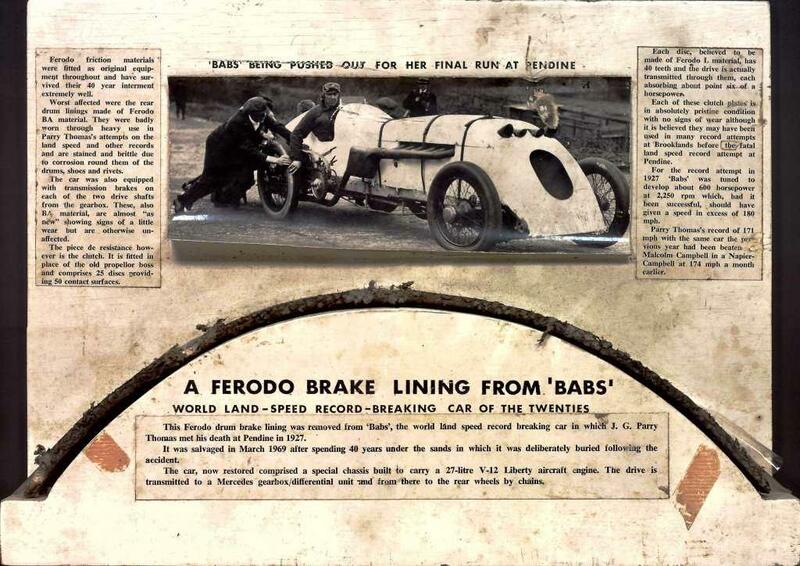 Mounted display of original brake lining used by `Babs’ who broke the land speed record in 1927 and was buried later that year following an accident that resulted in the death of the driver, John Parrry-Thomas. This is not my title, but the title given by Daniel Parker Coke to one of the cases he provided legal advice for over 200 years ago. Of the 40 or so cases he records in this particular notebook (one of five in our collection), there are several being similar to each other (for example, several relating to the settlement of a pauper and the right to an apprentice). There are also several that give us an insight into the position of women and the way they are viewed by the men in and out of their lives. This is one such case in which the former lover (Richard) of a young woman (Hannah) who has apparently had children by at least one other man. The parish and Quarter Sessions feature a number of cases of child maintenance and bastardy, this one however, is from a slightly different angle, with the father of Hannah claiming damages against Richard as his daughter has been unable to fulfill all her servants duties. Too often I think we think of such complicated relationships as being a modern occurrence, but this account shows this is not the case.